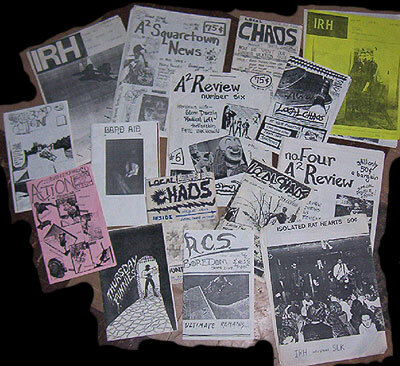 Here is my collection of 'zines that came from 1980's Ann Arbor. Every page was scanned and very little enhancment was done to the image as I wanted to present them as close to original as possible. Some text was "enhanced" or the page will be displayed larger in order to make it easier to read. 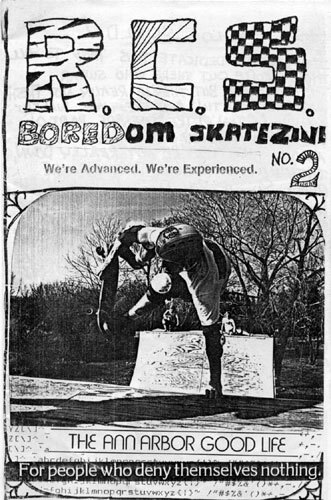 Click on each 'zine cover to be taken to a more detailed webpage on each issue. 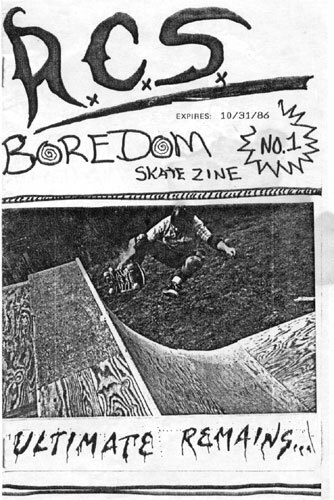 "RCS Boredom" was Jeff Hadley's 'zine and featured the skating that took place at his vert ramp. 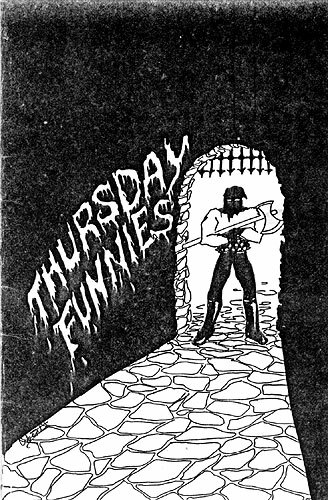 Published in 1986 and produced mostly at where he was working at that time, Jeff was able to put his 'zine together and get it out with little effort. Access to the department "copy machine" was a luxury item in those days. 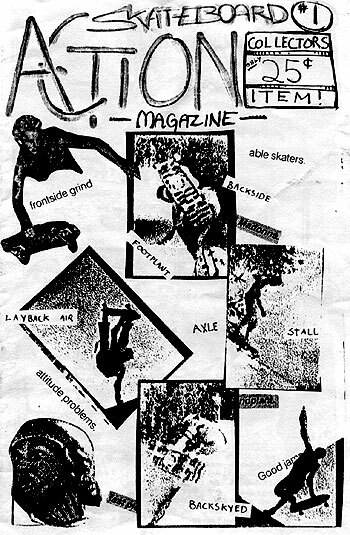 "Skateboard Action" was published by Jeff Martin and pretty much featured the skating and skaters both local and out of town. Jeff had a Zorlac fetish back then. 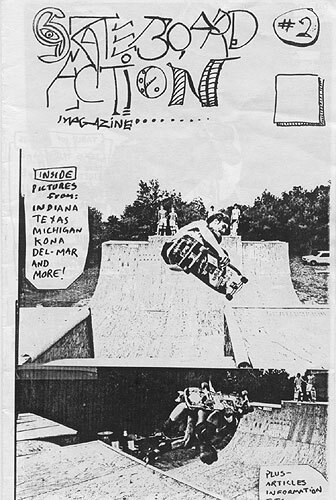 Here is issue #6 of "Band Aid". 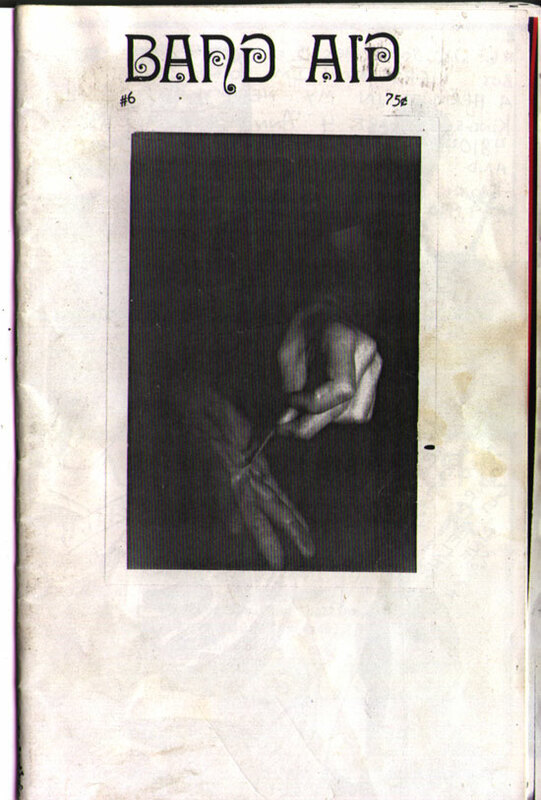 Published in 1990 by Naomi.